A Top Shelf digital exclusive! Adorable... relatable... miserable. 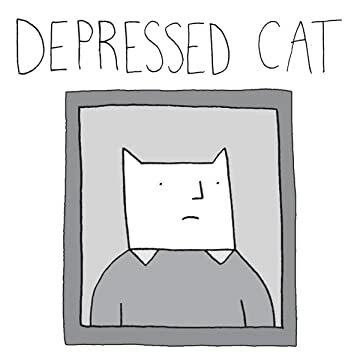 Meet Lizz Lunney's charmingly cheerless hero, Depressed Cat! He's not living any of his nine lives to a fulfilling level. 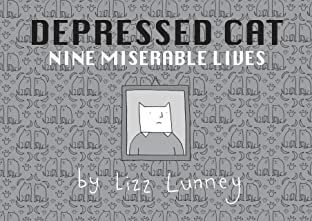 As the seasons turn, and Lizz finds inventive new ways to explore ennui, our lad's misery never wavers, but you reap the benefits in this delightfully dour 80-page collection.